Although I swear by the virtues of a proper car dryer, I still like to keep a proper drying towel to hand, which is very convenient especially if there’s no easy access to an electricity supply to plug your dryer in. 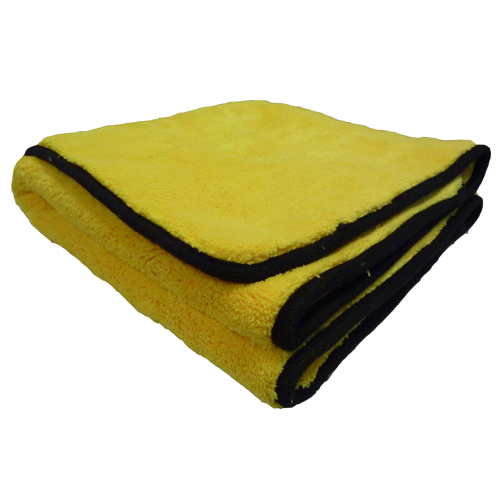 Trouble is plenty of companies claim that their drying towel is the best. 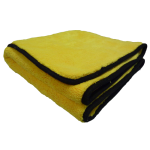 Sadly, most of them are no better than a microfibre cloth, which are great for applying and removing wax and polish bit not so hot for drying your car’s paintwork. WoWo makes a great one but I think on balance my absolute favourite and number one choice comes from Meguiar’s in the shape of their large Supreme Drying Towel, which is the best one I’ve ever used (thus far!). So good in fact that if you didn’t have a towel to hand after you had a shower it would work great for that, too. It has clear-coat-safe edging and has generous dimensions at 55cm x 76cm with a hefty 920gsm pile. I like good car care products in my armoury and stuff that makes a difference. This is one such product. A definite ‘Hole-ster’ go-to. Well-priced at £20 and available from Meguiar’s stockists such as Halfords or direct via www.meguiars.co.uk ENDS. Print article This entry was posted by admin on January 25, 2019 at 11:28 am, and is filed under News. Follow any responses to this post through RSS 2.0. Both comments and pings are currently closed.